In my dream the orange antelope is caught mid-stride, with the spiraling horns of a kudu the image of movement and emergent life, its core sheathed in keratin. But its split hooves sink not in spongy wetlands and it’s not a long-necked gerenuk standing on hind hooves to feed on upper leaves. It may be a kudu, an eland, a waterbuck, a klipspringer or a duiker who (the personal pronoun purposeful here) hides from its enemies in the veld’s long grasses. It may be a slender-horned gazelle with its broad hooves to walk across the sand of the orientalist desert. But this is not savanna or marsh or woodland and there are no African long grasses for the calves to hide. In my dreaming it is the New England wood, the forest primeval, with its ancient hemlock, honey locust, Endicott pear, horse chestnut, Castine elm. It feels like a white refrigerated room where you can see the cold flow of your breath emerge and where the apparitions of the dead appear in white gowns. I see my mother. The insuck of the wind causes your skin to shudder and your nerve drop to zero. It is the polar night at the mind’s end. The orange antelope, with black Kandinsky striations, is captured in mid-flight among the brittle and frozen branches that moan as they shatter as the ice approaches. 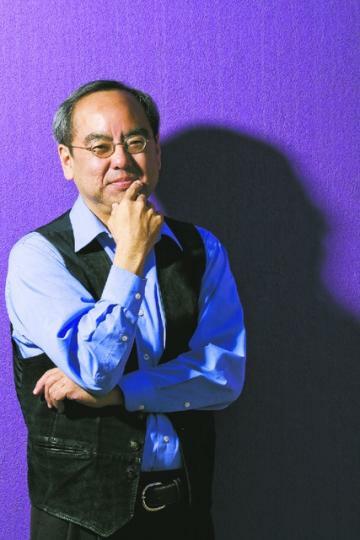 Richard Oyama has a Master’s degree in English: Creative Writing from San Francisco State University. The Country They Know (Neuma Books 2005) is his first collection of poetry. His work has appeared in Premonitions: The Kaya Anthology of New Asian North American Poetry, The Nuyorasian Anthology, Breaking Silence, Dissident Song, A Gift of Tongues (University of Georgia Press) and other publications. He has taught English and Ethnic Studies at California College of Arts, University of California, Berkeley, University of New Mexico, San Francisco Art Institute, and California State University, Hayward. He is currently working on a second manuscript of poetry and a collection of creative nonfiction essays.